Annual, maturing in 70 days. Not winter hardy. 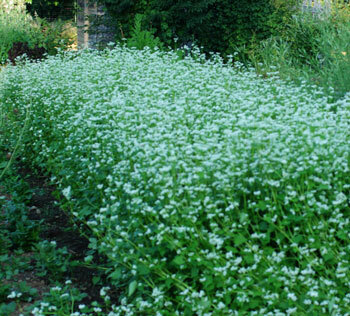 Native to Yunnan in China (the genecenter of buckwheat), growing 1 to 3 feet tall, depending on the soil fertility. 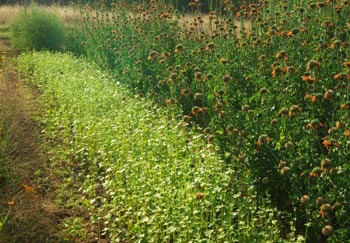 Excellent biomass and nectar producing cover crop for warm season application. Great choice for protecting bare soil from the the sun, working well on both fertile and depleted soils. Wthstanding full sun and also quite shade tolerant, this cover crop is edible to humans and wildlife alike. 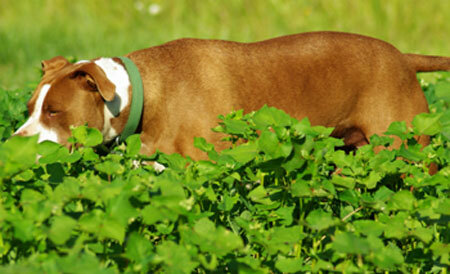 Sow 2 lbs per 1,000 square feet; 30 lbs per acre. If not cut back when young, plants will go to seed, become spindly and lodge. Most of us mow or till it under when it reaches 18 inches or so. 500 seeds per packet. 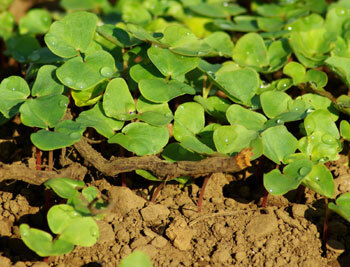 Can the buckwheat cover crop be grown for the seed/grain? The description seemed to discourage letting it grow to seed. I’m interested in organic gardening and working with raised garden beds. Is this buckwheat cover crop variety that you are offering above in your description called “Mancan” Buckwheat that can be harvested to make buckwheat flour? 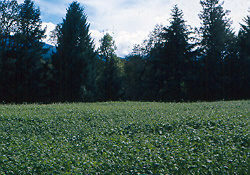 The “Mancan” buckwheat cover crop variety can be harvested into a flour that is used in making breads and pancakes, etc. Hi Lori, Mandan is a variety of buckwheat. 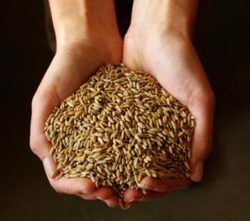 It is a mid-season type that has good seed yields. Our open-pollinated organic buckwheat is a 65-90 day maturity buckwheat with excellent seed yields. 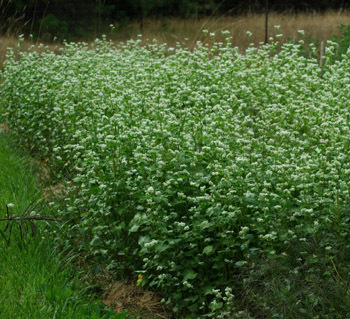 All true buckwheat seed is edible, it doesn’t require a specific variety to assure edibility.